This weekend we had fantastic weather for this time of year, we were all surprised. Just a couple of weeks ago, we had a major blizzard resulting in more than a foot of snow and then we reached in the mid-60’s during the weekend. Oh, mother nature can we please make up our mind. This week it’s back to being pretty chilly which makes me want to make hot chocolate every single minute of the day. Doesn’t that sound great? 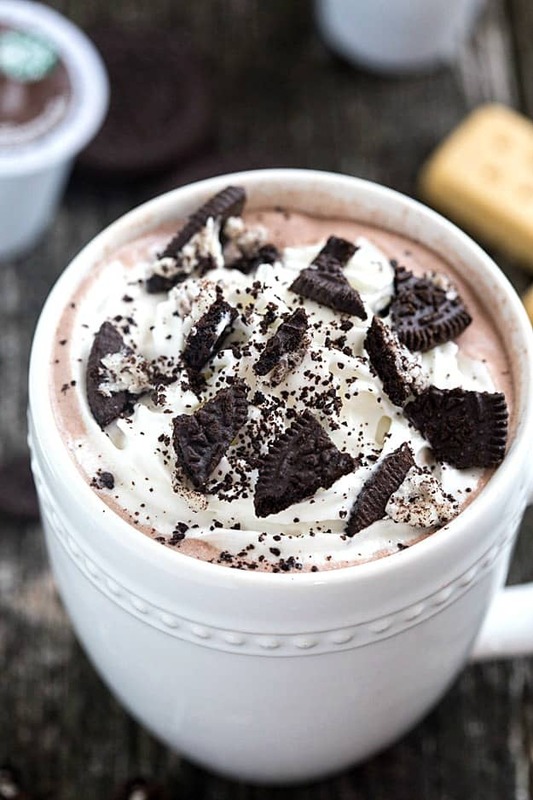 I love making completely homemade from scratch hot chocolate now and then, but sometimes I want it quick and that’s where this easy cookies ‘n cream hot chocolate comes into play. You can have a cup of warm, scrumptious hot chocolate waiting for you in just minutes. So what makes this hot chocolate so easy? We decided on using Starbucks® Classic Hot Cocoa K-cup Pods. We love keeping a box or two in the winter because we love the ease of them. All you have to do it in prepare your Keurig and pop in the K-cup pod and then you have rich, creamy, made with real cocoa hot chocolate! If you follow me on Instagram, a couple of days ago I shared a picture of a cozy collection sent to me. It included a blanket, a mug, marshmallow and shortbreads, Starbucks® Classic Hot Cocoa K-cup Pod, and a gift card! Enter to win your very own Cozy Collection! Prepare your hot chocolate in your Keurig and mix in the sweetened condensed milk. 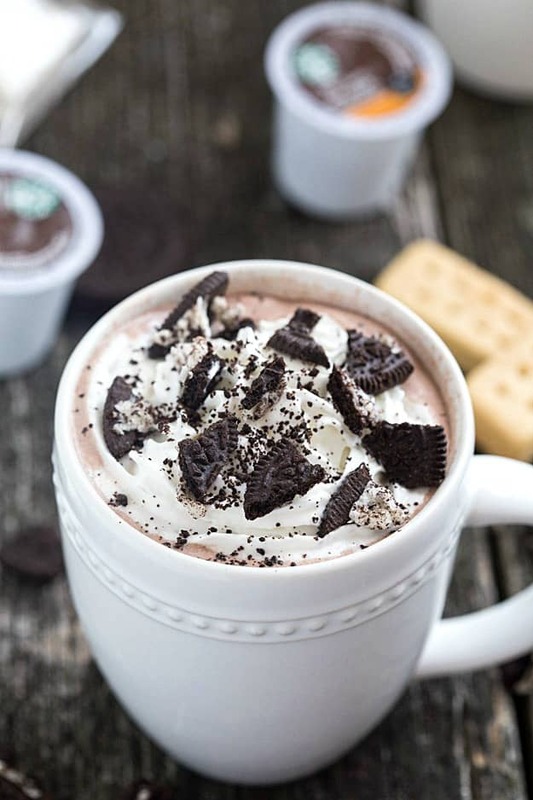 Top with whipped cream and chocolate cookies.